Professional grass and leaf collector for maximum performance. Wiedenmann Material Collecting Systems deliver extremely high powered suction and high load capacity making them exceptionally efficient. 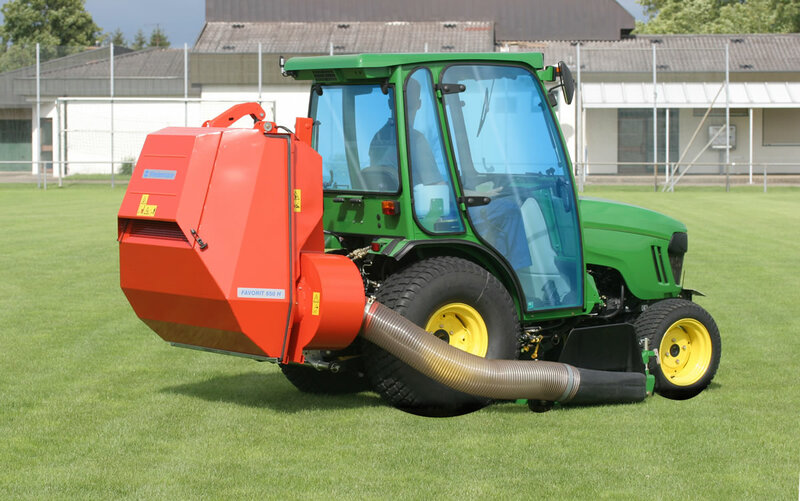 The MCS Favorit 650 with its distinctive shape is one of the most productive compact collectors around. Designed for use with smaller tractors, the robust steel hopper comes in two sizes a 600 litre or an 850 litre version. The MCS XP range of collectors is designed to fit all makes of tractors with either a mid mounted or front mounted deck. Optional support wheels stabilise the collector when unloading at high heights. They also keep the machine stable on undulating ground. If you are interested in our MCS FAVORIT 650 / MCS XP use the quick enquiry form below.